Clean up your balance sheet today and your other financial statements will fall in line. Messes in the balance sheet make for messes in the income statement and cash flow statement. By cleaning up this one financial statement, you’ll be one step closer to more informed decision making and more accurate forecasts. The most important aspect of a CFO’s job is to help the CEO make informed, strategic decisions. These decisions rely heavily on the availability of accurate, timely, and appropriate data. If the financials are a mess, it’s infinitely harder, if not impossible, for the executive team to make good decisions on behalf of the business. Apart from problems with processes and controls, many financial messes can be cleaned up by cleaning up one key thing: the balance sheet. 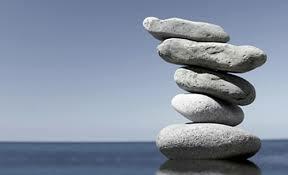 The balance sheet accounts for the company’s assets, liabilities, and equity at a given point in time. During the course of a month, the balance sheet is changes with every transaction the company makes. Significant changes in the balance sheet can inform executives of changes in the cash conversion cycle, receivables turnover, and can warn of cash flow problems. When coupled with the income and cash flow statements, a CEO can more accurately gauge the health of the business. If the balance sheet is incorrect, so follows the income and cash flow statements and, consequently, any decisions made as a result of those. Accidentally accounting for a transaction in the wrong period can throw off cash flow forecasts and make it difficult to balance the balance sheet. Double check to make sure that payables are resolved in the correct period. Check your previous month’s balance sheet to see if it’s changed — if it has, changes have been made since the books closed. Correct any transactions recorded in the wrong period and account for them in the correct one. 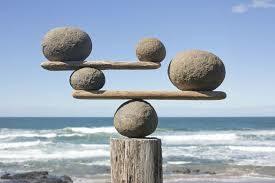 Rudimentary, yes, but your balance sheet should always balance. If your Assets don’t equal Liabilities + Equity, you’ve done something wrong. At least monthly before close, double check accounts to ensure that they are accurate. If there is an incorrect account balance, you’ll need to go through the entries associated with that account to find the error or make appropriate adjusting/correcting entries. Common errors are: posting entries to the wrong account, misclassifying as debit/credit, and duplicating entries. Once you’ve corrected errors in the balance sheet, you’ll need to double check your other financials. Because the it informs other financial statements, you’ll also need to update anything that is pulling data from your balance sheet. Most importantly, make any necessary corrections to your income and cash flow statements. If your balance sheet is correct, then everything it informs should be correct. If you still don’t trust the numbers, it may be time to bring in an expert to take a look. A CEO relies on accurate, timely financials. Financial strategies based on incorrect financials are destined for trouble. If your business’ financials are out of line, start with the balance sheet. Messes in the balance sheet make for messes in the income statement and cash flow statement. By cleaning up this one financial statement, you’ll be one step closer to more informed decision making and more accurate forecasts.